Popping in last weeks audio was probably due to a cheap USB cable. Stephen and Parker recorded last week on a laptop with a USB powered mic preamp that has less then stellar power filtering and performance. Stephen is continuing work on his automatic brewing rig. Has a motorized ball valve to control the flow rate for proper mashing and cooling rates. Parker found the correct IC that is inside the Jeep radio. Part number TDA7340S. It is a 100% direct match to the pinout of the IC inside the radio. He found it by looking at ST’s catalog of Audio and Radio ICs from that time period. To switch Audio sources to an external source, Parker is going to hack into the TDA7340’s external effects loop. See Figure 1. The signal will probably have a DC offset since the IC is on a single power rail of ~9.4V. DC offset should be around 4.5V. The Bluetooth adapter will need to have a DC offset to match. ICs to switch the audio signals will either be a NJM2520D or a MAX4544CPA+. Shout out to Pat Hensley from Tektronix. Came by the shop earlier this week to get a tour of the fab and show off some Tektronix goodies. Got to play with a Tektronix RSA306B USB Spectrum Analyzer. Which was really awesome. Real time over USB. Interface is scriptable with Python. Will be looking at getting one for pre-compliance testing. Attacking air gapped computers using the cooling fans. Basically a piece of malware tweaks the PWM on the fans inside the computer to transmit data audibly. Make your own nuclear battery. Using Tritium keychains and some solar cells to produce power. The battery produces 1.6 volts at 800 nano amps or 1.23 microwatts. 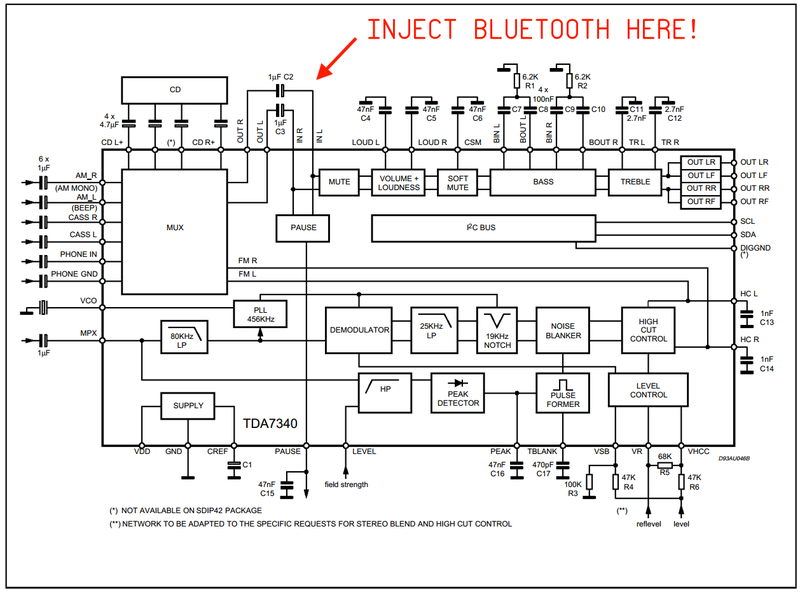 Figure 1: Block Diagram of the TDA7340S and where Parker is going to inject the Bluetooth signal.